Hello and welcome to our blog again. This week we continue explaining the little details of our work in order to make you feel more comfortable during our job and help you understand in better details the oven cleaning as a service. Today, we’ll talk about the checklists which we use to guarantee the high quality of our procedure. 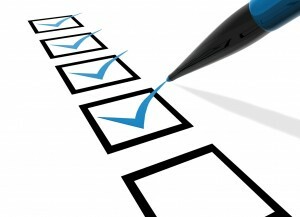 What are the oven cleaning checklists? These are documents we, as professionals, carry with ourselves and hand to each customer before the procedure to start and later on, when it’s finished. These are simple documents of one page where we write down everything we ascertain during the initial check. We include the pre-cleaning condition of the appliance and the job which we plan to do. We add details about the job such as address, date etc. We fill the make and the model of the cooker which we are about to clean and the state in which we find the oven – if the individual parts work or not, if there is something broken or if there is another issue with the device. All of that information helps us track all of our work and be able to improve the quality thanks to such pedantic statistics. The oven cleaning checklistsis are huge help in cases of clients satisfaction situations. We can see what kind of job was performed, which of our technicians did it and how. That guarantees best results for both parties. We fill details about the job we actually did too. The process of cleaning with specific details and all the terms and conditions under which we execute the procedure. All that documentation along with the professional cleaning and experience seal once again the professionalism and high standards which our company cover. At the end of the cleaning, each client indicates the level of satisfaction from the job the company’s professionals did and puts his/her sign at the bottom of the document. We really hope that with that additional explanation of the professional oven cleaning London work we made it more clear and transparent about the way we work and the goals we have. Have a nice week and visit us next week, when we will talk more about cooking. This entry was posted on Wednesday, November 5th, 2014.